Jamie is our second star behind the wheel. It’s his first year in a GT4 car, and his second year in professionell motorsports. 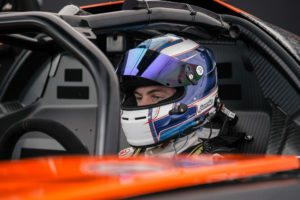 With only 19 years old, he is among the youngest drivers of the whole GT4 series.